The Greater Wellington Regional Council (GWRC) reviewed in detail our application, had it peer reviewed by others, then at the subsequent hearing we were granted the Resource Consent, with conditions pertaining to the standard and type of protection work to be allowed. This is a very positive step; however it has taken considerable effort from the Sub group and expense to the Club as a whole incurring costs in excess of $30,000 to date covering the Consultant and the GWRC fees relating to the consent. The Committee of the time considered it to be a worthwhile investment in the protection of the course and our ability to play it as we wished, and had decided to look at the funding options across the whole project rather than a piecemeal approach. The GWRC has the legislated responsibility for the river, and from Gemstone Drive to the harbour undertakes at their cost all of the flood protection works that are necessary for the lower valley, however above Gemstone Drive it is the responsibility of the individual landowners to undertake the work required at their cost under the conditions imposed by the resource consent. 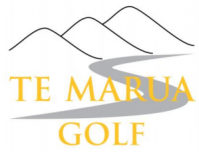 There are limited numbers of land owners impacted by this, the two main players are Te Marua Golf Club (TMGC) and Mr A Teasdale, the farmer of the land on the opposite side of the river to us. He has, as he is allowed to under the legislation appealed the granting of the Resource Consent which is now to be heard by the Environment Court sometime this year. It should be noted that the Environment Court is the only body that can take our Resource Consent from us, so all actions and impacts from them is important. Towards the end of last year, we attended a mediation organised by the Court, where TMGC, GWRC and Mr & Mrs Teasdale sat around the table and tried to get a solution that all would be happy with, unfortunately with no success. As a result of the mediation we now understand the basis of the appeal, Mr Teasdale wants protection work on his cliff and other areas done by the GWRC at their expense, and to try to get them to do this he will, as he has done, appeal any decisions of the Council to facilitate work by others. He also claims that previous work (approved by Council) that TMGC has done has impacted on his land and has resulted in a loss of productive farm land, which further adds to the complexity of the issue. Each participant has a Consulting River Engineer working with them, and the Mediator directed that these 3 professionals meet and agree if possible the desired course of the river, which would have a direct impact on where and what works could be allowed. The Engineers had that meeting and all agreed with the route as outlined in the GWRC published plans known as option 2. We had a small victory at the mediation; we were given approval to undertake protection work at the totaras on number 1, trees that are highly regarded by the local iwi and are prized by the majority of Club members. The work will allow the driving of railway irons into the river bed and the placement of willow trees behind them secured into place with wire ropes to stabilise the bank, work that we the Committee see as essential and urgent. At the last AGM we had a very good discussion about how to fund the Club and its daily operations, focussed around increased memberships and alternative ways to raise the money necessary to operate the Club. One of the discussions and the plan being followed by the Committee is that the daily operations of the Club, those things that can be planned for and are essentially the same each year should be able to be met from the subscription fees, while major items and expenditure that can’t be planned or controlled is dealt with from funds raised in other ways. The erosion prevention work and the saving of our 1st fairway Totara trees is one of these cases, and due to the appeal and the possible Court dates we need to separate these from the total project and to raise the money required as soon as possible. To achieve this we are seeking from every member a donation, which will be accounted for separately by the Committee and only spent on the river retention and flood protection activity around the totaras and the 1st fairway. Kind regards and thanks in advance for your support.